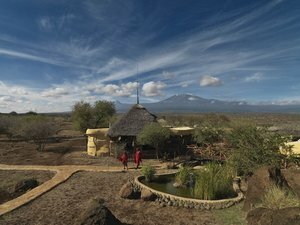 Satao Elerai Camp is located in a quiet‚ unspoilt‚ unique setting on a 5000 acre private conservation area 12 kms south east of Amboseli National Park at the foot of Africa’s Largest mountain‚ Mt Kilimanjaro. 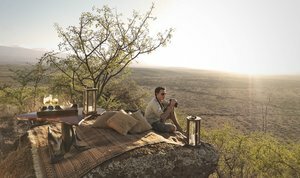 The camp looks down onto the Amboseli National Park in one direction and up to Mt Kilimanjaro in the other direction‚ giving clients what is arguably the best location of any camp in Amboseli. Upon arrival at the airstrip‚ you will be met by a driver/ guide who will transfer you tothe camp as you enjoy a short game drive just before check in. After lunch you will depart for a late afternoon game drive or enjoy other activities offered at the camp. You will set out before sunrise in search of game as you enjoy the richness of the Park's wildlife and savannah. 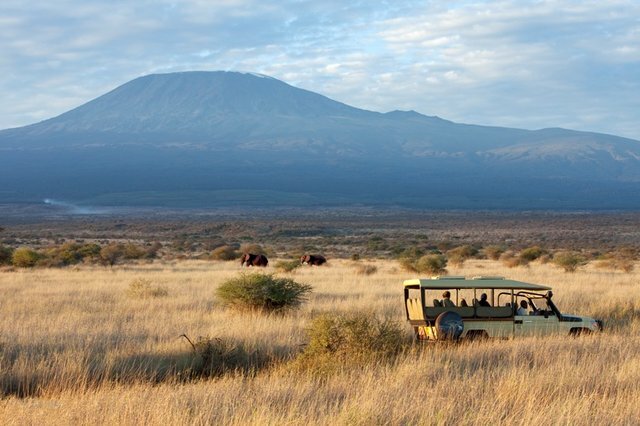 Later in the day you will still enjoy an evening game drives in custom-built traditional safari vehicles‚ ‘sundowners' on Observation Hill‚ bush dinners and Maasai dance performances. Enjoy a final early morning game drive and hippo pool breakfast‚ after which you will be transfered to the airstrip for your flight to Nairobi's Wilson Airport.